I am reaching out to any like minded Preppers or Prepper Families in or around East Tennessee. I am willing to email ideas back and forth to run scenarios by each other. Or meet you in a public place for a cold drink and just shoot the breeze for awhile and bounce ideas off of each other to try to keep you from making mistakes i may have already made or so you can help me to keep from making mistakes you may have already made and learned from. Cause it helps to learn from other peoples mistakes that cost time and money. Here’s a little about me. I am located in the mountains of East Tennessee 30 minutes from North Carolina and Virginia. We live on a small acreage farm. Where we raise Chickens, Rabbits, Meat Goats and an occasional Hog. My wife is wanting to become a better gardener. My daughter is wanting to work on raising milk goats. We have trail horses. We work hard to prepare for bad situations and emergencies because I am sure trouble is coming and it is going to be bad. I am an Eagle Scout and Ex-Army Infantry. Came home and served locally in the Tennessee Defense Force. I am a Community Service Minded individual but i won’t let my family be a victim. I am a licensed Tennessee Handgun Permit Instructor. A certified CERT “Community Emergency Response Team”Instructor. I used to be a decent mechanic before they computerized everything. I am a certified Glock Armorer. I am working to learn how to reload. I was certified in CPR and as a First Responder in Tennessee. Working to obtain my Ham License. Feel free to contact me and we will see where it goes from there. Take care, Keep your powder dry and Watch your Six. 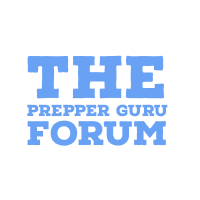 If you have something specific, you might also bounce over to the associated prepper forum. Lots of experience and lots of questions you can help with there. Wanted to have reach ou t to you. I live in Southwest VIRGINIA about an hour from Bristol. Looking for a group to possibly join. In the hopes of finding others, perhaps http://www.prepperbroadcasting.com would be helpful. Recently established a foothold between you and Nashville – been developing small, diversified farmsteads off and on for over 30 years. 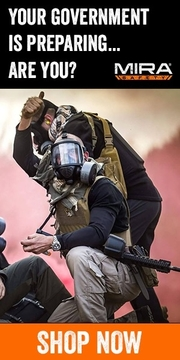 Ex-military, two years overseas in combat arms unit. General ham license, CERT, strategic mindset. Want to connect with like minded folk as part of a mutual assistance group. Hello. I have the post in Virginia on March 29th. Don’t know if you are looking to relocate or not but I have found a place that is very ideal. LMK if you are interested in speaking more.